Time to smack down those big grinnin' ghouls again. There's a new Attack on Titan 3DS title coming from Koei Tecmo's Ruby Party, according to the latest issue of Weekly Famitsu. 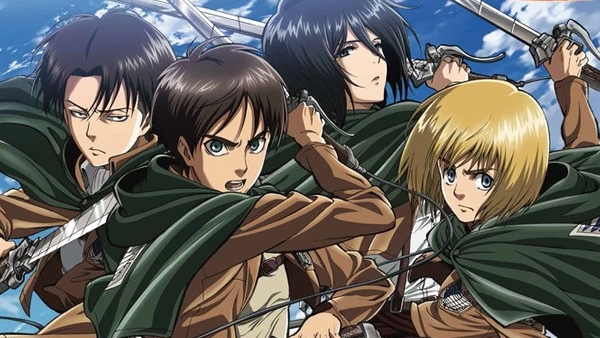 It's called Attack on Titan: Escape From Certain Death, and aside from that basically being the plot line of every episode and story arc, it sounds like it's going to be better than the last outing we had with Attack on Titan on 3DS. The game, which developement is about 30% complete on, will follow protagonists from the anime but will also introduce a new character that players will take up the role of, as part of the Survey Corps. After losing all of your equipment plus getting lost in the castle, you've got to escape alongside characters you know from the show. What's more, if you choose to play as a male you'll be partnered with Mikasa. If you play as a female you'll be partnered with Levi. As far as where the game takes place in terms of the series as a whole, it's right before the cast meets up with a certain Female Titan. I'm interested to see how it plays, personally.